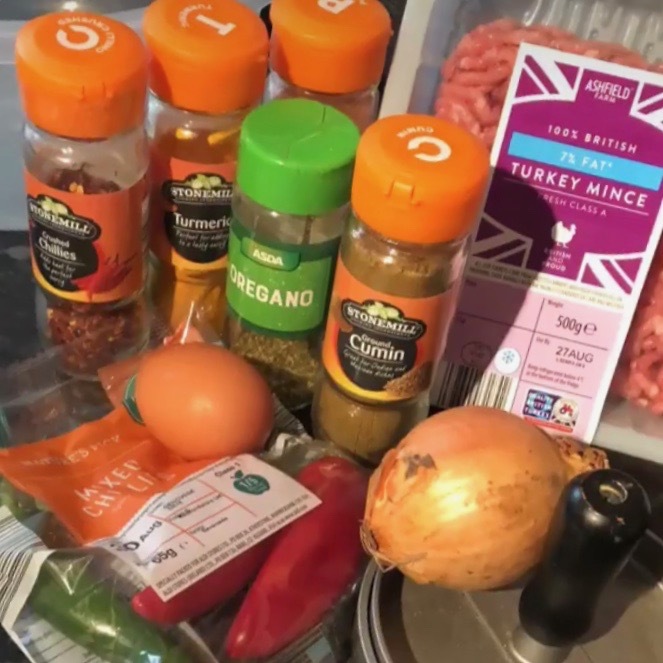 To celebrate national burger day I decided to experiment and knock up some homemade turkey burgers! Directions- Finely chop your onion and chillies and put into a mixing bowl with your mince. Season the with the desired flavouring and whisk up an egg and add to the mix. Don’t be afraid to get your hands dirty because you’ll need to get your hands in their to mix it all together. Once all of your ingredients are mixed then shape into burgers patties (or use a burger mould press if have one) then put into the fridge to set together until you’re ready to cook. To cook I cooked my burgers for 12 minutes on 180 degrees to get them cooked through and finished them off on a griddle this prevented drying out or cooking the outside too much, you can pan fry all the way but I find this works better. No oil or butter required! Then serve as you like! 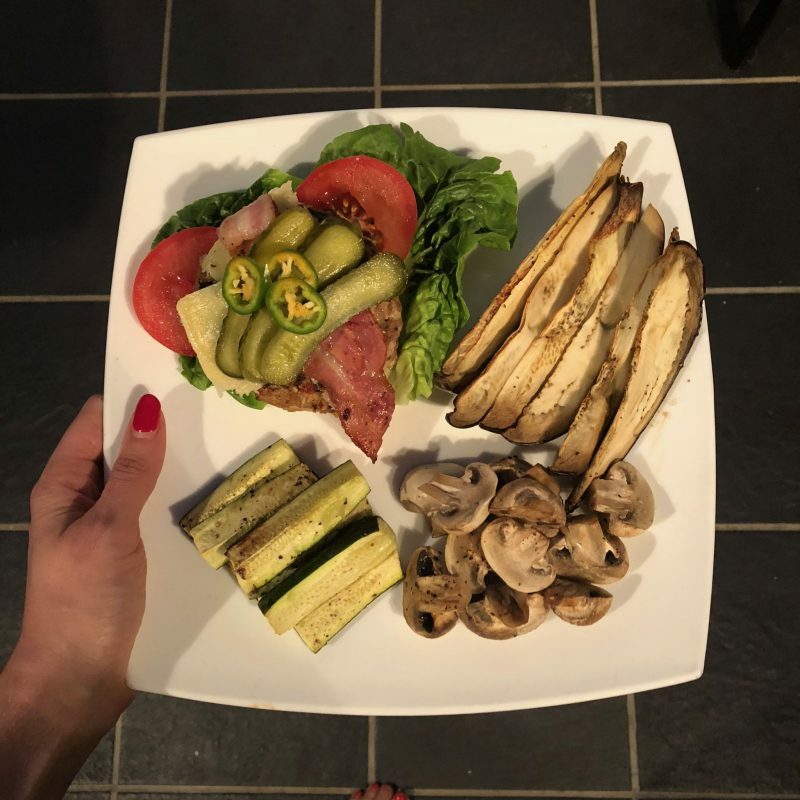 For Jamie I added cheese and bacon and served with the usual garnish in a brioche bun with fries, I served mine bunless on a bed of baby gem with a thin slice of cheese and bacon and served with roasted vegetable “chips” I.e courgette, aubergine and mushrooms in bite size chunks to fill the chip void!